The idea of ecology rests on three fundamental assumptions: that (1) living nature has some sort of structure explained by rules or laws; (2) these laws are discoverable through empirical observation; and (3) humans are morally culpable for harm they do to nonhuman nature, and thereby also to other humans. Each fundamental principle has roots in ancient Greek philosophy. Over time they have produced several distinct disciplinary forms that collectively constitute the idea of ecology. The central thesis of this book is that ecology has implications for environmental ethics. The argument posits Scientific Ecology as a reliable source of descriptions of biotic communities for prescriptions regarding human treatment of biotic communities. The exegesis begins with the contextualization of the idea of ecology in the Western intellectual tradition, which provides the framework for an analysis of the basic philosophical issues of the science of ecology, including ethical implications. 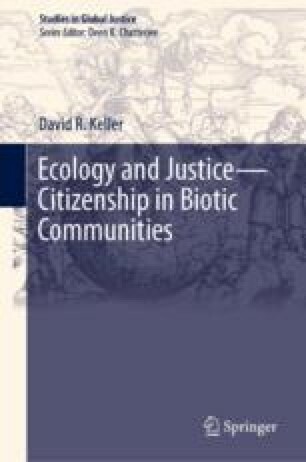 Scientific ecology and ecological justice are intimately connected: the way that the world is has much to do with the way that the world should be.